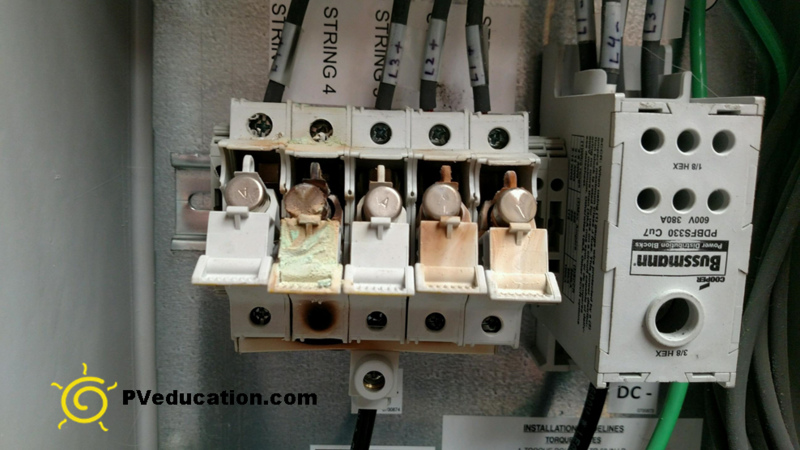 It is always unfortunate to run into a poorly design fused combiner and it is even worse when the manufacturer doesn’t stand behind the repair of that combiner. In this case an inexpensive buss bar was used to combine the fuse outputs and a lug was placed at the middle fuse terminal. 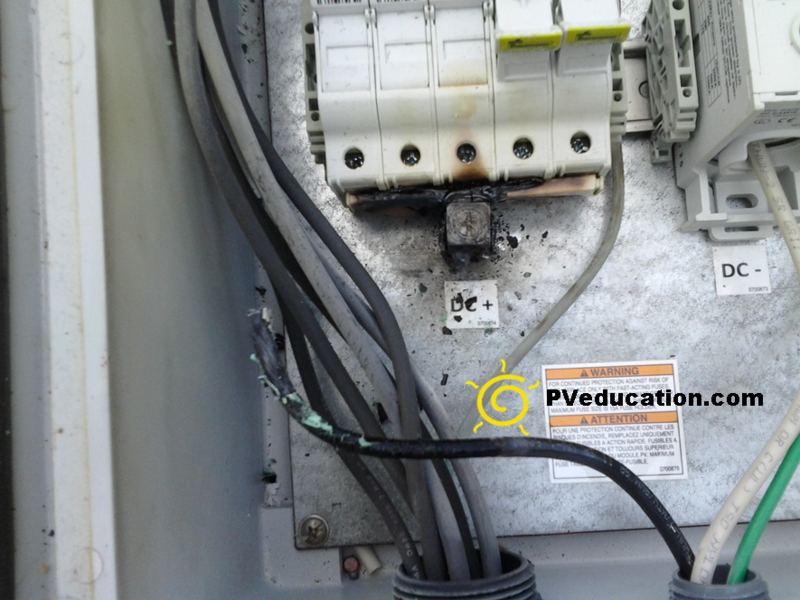 As a result of a few thermal cycles and the lugs would loosen creating a hot spot that would lead to a fuse and combiner failure. As I was making the request for repair kits, the manufacturer said they couldn’t cover the expense because the installer didn’t keep accurate maintenance records proving they re-torqued the terminals at a max interval of 6 months. The take away is to look at the potential failure points in equipment designs even if they are from large experienced manufacturers.